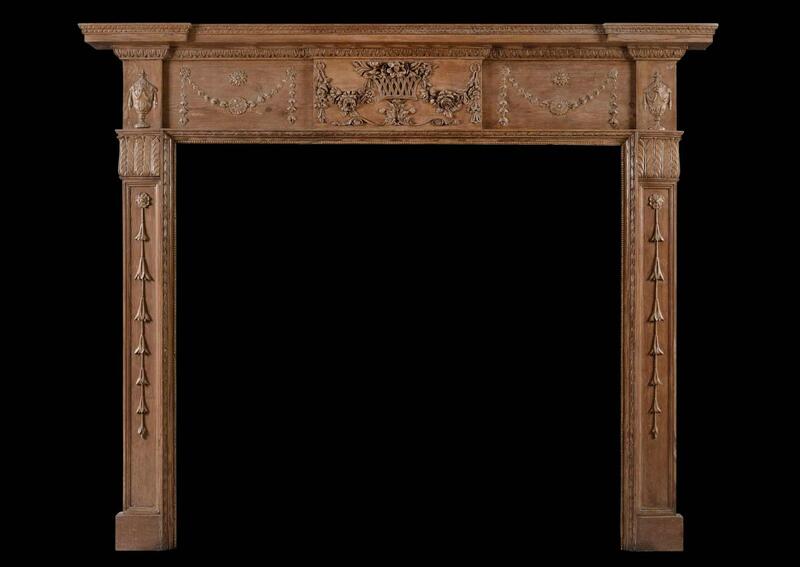 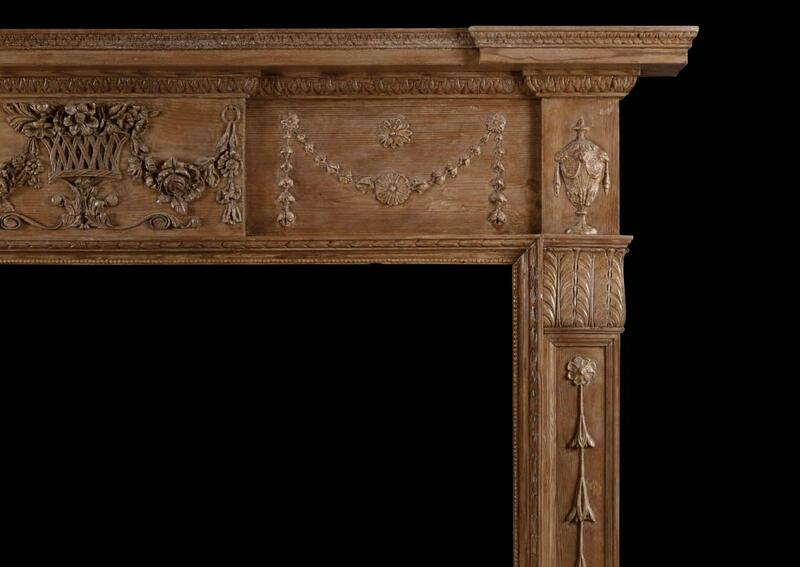 An 19th century pine and gesso fireplace. 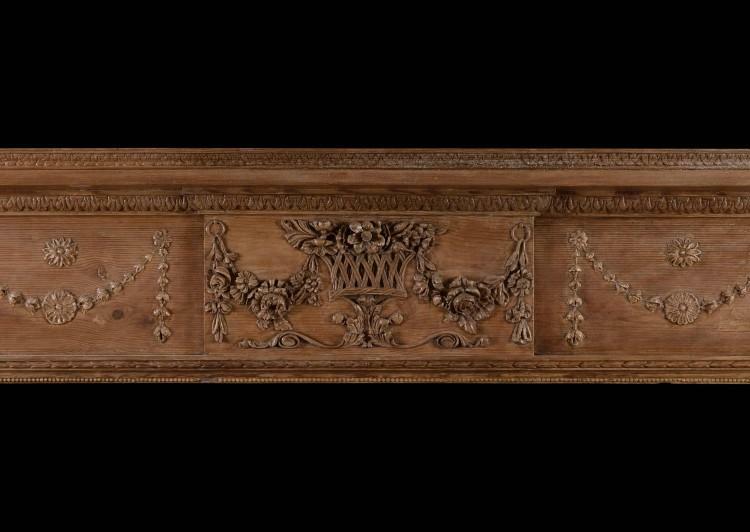 The centre panel lattice basket of flowers juxtaposed by flowered drops, swags to side panels, and urns to end blockings. 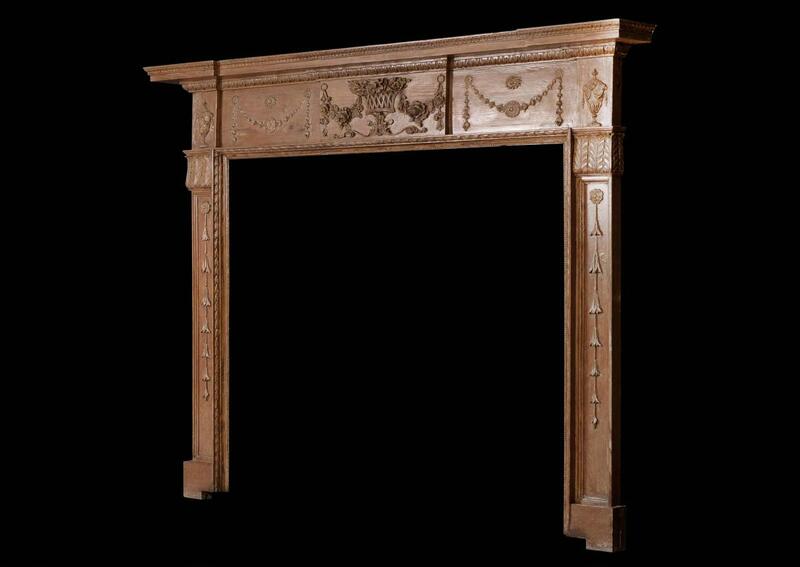 Acanthus leaf capitals and bellflower drops to panelled jambs with leaf panel moulding. Beaded inner leg moulding and leaf mouldings to moulded shelf.